It’s difficult to cut hard-working and hopeful probationers, but if an organization wants to create a culture of excellence, its gatekeepers (those in charge of hiring, training, retention, and promotion) must exercise clear-eyed objectivity and demonstrate unflinching courage by weeding out those who are unwilling or unable to excel. In policing, as in many other fields, the stakes are simply too high to knowingly accept less. No one wants a surgeon, teacher, or cop with mediocre skills or shaky character. Two results are inevitable when we lower standards: The quality of service continually sinks as fewer people strive for the best within them, and mediocrity becomes the norm as good people move up and out, leaving behind a growing proportion of so-so performers. Two results are inevitable when we insist on excellence: Performance increases as everyone does better than they otherwise would, and some people will be asked to leave. Management can avoid its responsibility, but it can’t dodge the consequences of shirking it. 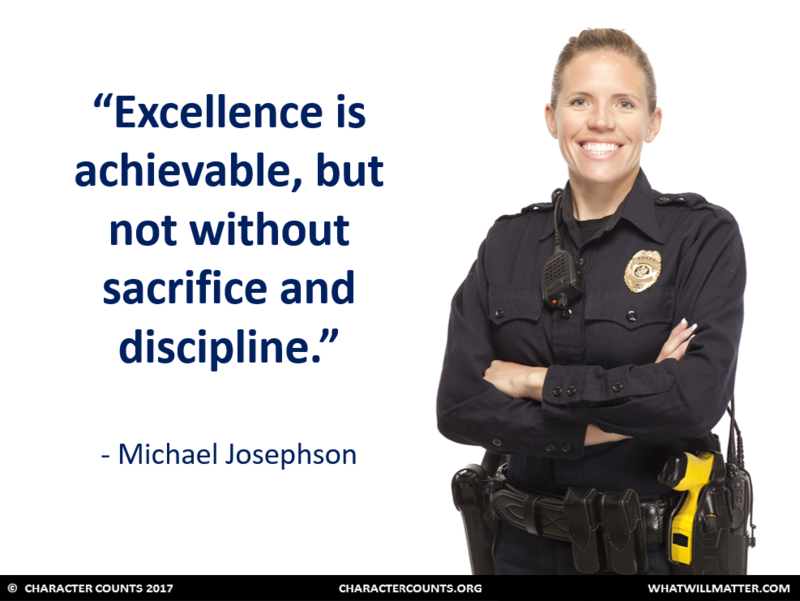 Excellence is achievable, but not without sacrifice and discipline.